Exclusively Ours! 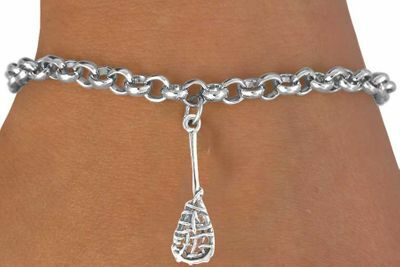 Lead & Nickel Free Lacrosse Stick Charm Comes On A Adjustable Bracelet Of A Lobster Clasp Rolo Chain. With A 3 Inch Extension That Will Fit Everyone.